A kidney stone is a solid mass of tiny crystals that forms inside the kidney. The crystals are primarily comprised of calcium, oxalate and uric acid. Approximately 80 percent of the time, kidney stones form in men but are possible in women. Dehydration, obesity, high-sodium diets and some diseases can increase a person’s risk of developing kidney stones. Typically, the mass will pass through the urinary tract on its own. In severe cases, surgery may be necessary. Dr. Christopher Sherman, a urologist at BayCare Surgery Centers, explains what kidney stones are and what conditions could cause kidney stones. Dr. Christopher Sherman, a urologist at BayCare Surgery Centers, describes kidney stone symptoms, such as kidney stone pain and what to do if you think you may have kidney stones. If you have blood in the urine, difficulty passing urine, or pain associated with vomiting, talk to your doctor or find the ER closest to you. BayCare offers a variety of services to help diagnose, treat, and prevent urological conditions such as kidney stones. Find a urologist near you or call (855) 245-7765. 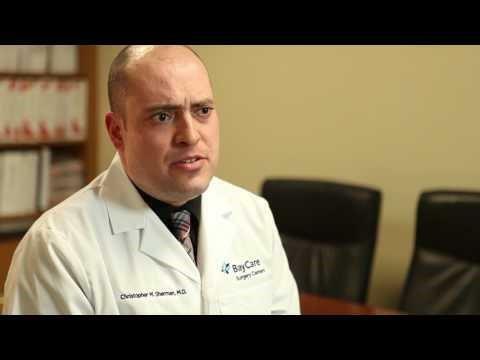 Dr. Christopher Sherman is a urologist at BayCare Surgery Centers. 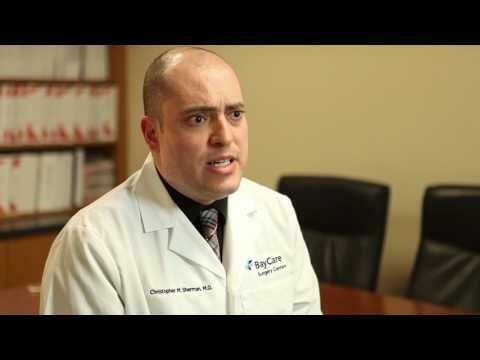 In this video, Dr. Sherman discusses how BayCare examines patients for kidney stones, when a stone can be passed naturally, and what some options are to relieve the pain of passing a kidney stone naturally. 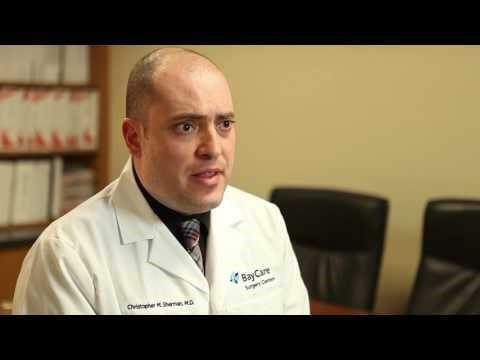 Dr. Christopher Sherman, a urologist at BayCare Surgery Centers, tells us what a lithotripsy is and how BayCare's lithotripsy procedure works.